Please find answers to some of our most commonly asked questions below. Click here for ticket information, including on the day General Admission tickets at the gate. You'll also find unique information for each event on its event page – via the website calendar, here. What Identification / Proof of Age do I need to get in? For information on Proof of Age Documents, please view the PDF here. How can I buy Concession tickets? Concession tickets are only available at the gate on the day, with a valid concession card. Which ID cards are valid for concession price entry? We allow: Student card with photo, Senior card, or Disability card. Will General Admission / Concession tickets on the gate sell out? The racecourse is set in large grounds and there is capacity for a number of patrons. On larger Carnival days it's wise to plan ahead so that you can secure the right ticket for your day out - whether it be GA’s or ticketed events. How can I book hospitality or private function areas? Usual Gate opening time is 9am, however this can sometimes alter depending on the event. Please check the specific event page on our website calendar here for further details. On some Carnival event days Members will be provided entry from 8.30am. What if I have experience a problem purchasing via Ticketek? Please contact Ticketek on 1300 364 001. What are the ‘Carnival Racedays’? The Carnival Racedays are our most popular days - listed below. When is ‘Fashions on the Field’? 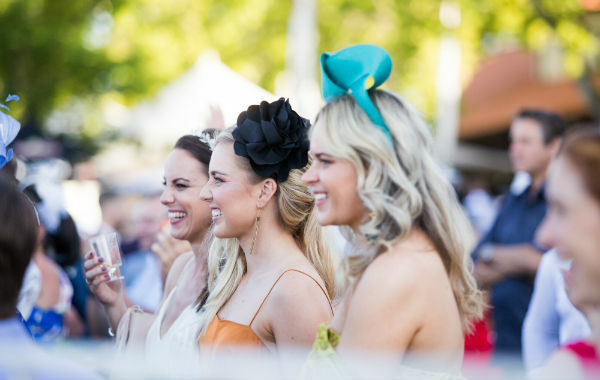 We currently host Fashions on the Field twice per year - on Crown Perth Opening Day in October and Amelia Park Karrakatta Plate Day in April. Where can I find race times? 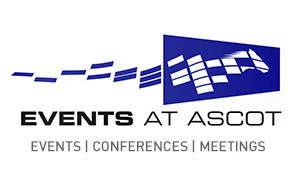 Times are released a few weeks before each raceday on our website event pages. Please visit the Sky Racing schedule here for advanced race times however please note that times are subject to change. What days is there Racing at Ascot or Belmont? We race on most Saturdays and Wednesdays throughout the year, about 90 days in total. Spring, Summer and Autumn racing take place at Ascot Racecourse, with Winter racing held at Belmont Park. Please refer to our website calendar or phone (08) 9277 0777 (weekdays) for further detail. Where can I find racing industry information, such as suspended & injured riders/jockeys? Where else can I find racing industry information and data? I have a query or concern about racing integrity at Ascot or Belmont, how can I get in touch? Please contact the RWWA Racing Integrity Investigation Unit. How can I get to the races? Both Ascot and Belmont Park provide Member and public parking facilities. Should you prefer to use public transport please view the Transperth train and bus options here (for Ascot) and scroll down to the heading, Transport Options. There is also a Taxi rank and Uber or Rideshare pick-up located at Gate 6. Is there an elevator that guests can use at Ascot? At Ascot there is a service lift available for use between the first and second floor of the Grandstand. This is located at the back of the Grandstand, and please ask any Perth Racing staff on the day if you require assistance. Unfortunately there is no elevator service at Belmont however escalators are available. Please click here for information on raceday attire. If you are planning to visit the Member Area you will also need to adhere to the Member Area Dress Code. 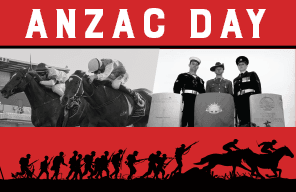 Please be aware that the Member Area Dress Code will be strictly enforced and Perth Racing reserves the right to refuse entry to any person considered inappropriately attired. We have lots of grassed areas and outdoor bars, so smart casual attire is also welcomed in General Admission. We’d encourage you not to wear thongs for your own safety. Do you have gluten free food options? 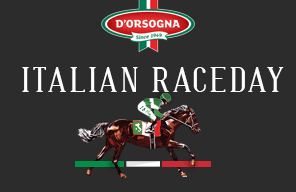 Gluten free food options at Ascot include pizzas (Stone Motherless & Grandstand Bistro), burgers (Corner Grill, Grandstand Bistro and Stone Motherless), friands, cakes and salads (Lavazza Coffee House). Please allow a little extra time when ordering these items as they do need to be separately prepared. The Brasserie – on the Members floor – can also provide gluten free options. Do you have vegetarian and vegan food options? Patrons can state their dietary requirements when booking any ticketed hospitality, and vegans can also be catered for at selected a-la-carte outlets (Stone Motherless and Grandstand Bistro). We also have a range of vegetarian options (rolls, sandwiches, rice paper rolls, sushi, spinach & ricotta roll by Mrs Macs) and gluten free options upon request (pizza, burgers, salad) readily available at our general admission outlets. I'm having a problem trying to book a restaurant or package online, have bookings closed for the week? Online bookings close from 4pm the day before a Raceday. Last minute bookings might be available on racedays, please phone 9277 0769 to enquire. Do the bars take credit card? We have eftpos at all outlets, be it fixed or temporary. What is included in your 'beverage packages’ as advertised on some of your functions and restaurants? A 'beverage package' includes beer, wine, sparkling, cider and soft drink for the duration of the races. Please note ‘premium beverage package’ and ‘deluxe beverage package’ differ by suppliers. I'm interested in becoming a Food Truck Vendor for upcoming Perth Racing events, how do I apply? Please phone our Food & Beverage Team on 9277 0769 on racedays, or Sales on 9277 0760 during office hours. Alternatively you can email restaurants@perthracing.com.au or message our Perth Racing Facebook page. Can I bring my own food/drinks/lawn furniture? You can bring your own food however it can only be be consumed in outdoor areas on course. No drinks can be brought in except for sealed, bottled water. If you are attending any outdoor ticketed event (including Picnic at Ascot) bringing or consuming food or drinks bought from home or off-course, is not allowed. Patrons are also not permitted to bring food into the Grandstand bars or restaurants. Any drinks purchased off-course cannot be brought into the Racecourse grounds. Lawn furniture is also disallowed - Patrons purchasing the Picnic at Ascot will have the option to also include picnic blankets, umbrellas, tables and chairs. Can I bring decorations for a birthday? Balloons are not permitted on course as they pose a potential threat to the welfare of the horses. Streamers and other birthday decorations are permitted. Do you have specific Members areas? Yes, both Racecourses have a dedicated, exclusive area for Members only. At Ascot Level 2 and 3 are Member areas, including the Corporate Suites, Flying Colours Restaurant and the Directors Lounge. At Belmont Park, Member specific areas consist of the Placid Ark Room on Level 2 and all of Level 3. Please note, if you are dining in any of these restaurants or have guest passes to the Member Area, you will need to adhere to the Dress Code. here. I’m not a member, can I receive Members access for a day? You can only gain access to the Member Area, if a Perth Racing Member purchases you a Member's Privilege ticket. This ticket can be bought for individual race days and will give you access into the Member Area. A Member's Privilege Ticket ranges in price from $30 on any Standard Saturday to $150 on some Carnival Days. All Members Privilege Tickets must be on display at all times and will be scanned in and out of the Member Area throughout the day. If you would like to consider becoming a Perth Racing Member please visit us here. Patrons of all ages are allowed at the Racecourse and it can be a great venue for a family day out, with 16 years and under gaining free admission. Please be mindful that children are NOT allowed to climb up on the side of the track or touch the horses. There are also a number of private function areas which are strictly 18+ so please ensure you are aware of these at time of booking. Minors 17 years and under MUST be accompanied by a parent or legal guardian at all times. Do Ascot Racecourse and Belmont Park Racecourse have baby changing facilities? Yes, at Ascot we have baby changing facilities on the 1st floor, in the Main bar toilets and Flame Tree toilets. At Belmont Park these facilities are available in the ladies toilets on the Ground Floor, located next to the Parade Ring Bar and Bookmakers Ring. Prams are permitted and welcomed, however we recommend against it on larger carnival days as it can be very busy and potentially difficult to manoeuvre the pram around on course with the large crowds. Where can I find out about careers with Perth Racing? Whether you are looking for full time or casual work, Perth Racing may have just the opportunity for you. To view available positions, click here. Can I smoke on course? Yes, however there are designated smoking areas. Please note the designated smoking area at Ascot has been recently moved. The Grandstand Smoking area is now located further down Governors Drive, closer to the Grandstand Road entrance. For the safety and comfort of all patrons on course, smoking is ONLY permitted in this area. Perth Racing security will ask patrons who smoke outside the area to move to the designated smoking area or extinguish the cigarette. Failure to comply will result in being asked to leave the track. At Belmont Park, smoking is permitted to the right of the Parade Ring Bar Area. Please note that cigarettes are not available to purchase on course, however, there is a BP service station approximately 10 minutes walk. For lost property enquiries please phone Reception on (08) 9277 0777 (weekdays only). If you lose property on the weekend please go to the Raceday Admin office where the item may have been returned or a Perth Racing employee can provide assistance. Is there a storage area for patrons to use at the racecourses? Yes – at Ascot we have a cloakroom at the bottom of the escalators combined with the Racebook kiosk, this is a free service. At Belmont we have we have a cloakroom located at the racebook kiosk, this is also a free service. Are your venues available for hire? Please find information here about our Venue Hire. For bookings and enquiries please contact our Events team on +61 8 9277 0777 or eventsatascot@perthracing.com.au.